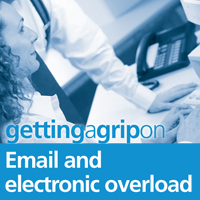 Do you need more help dealing with email overload? 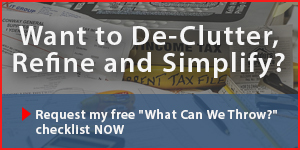 * Are you struggling to keep up with the staggering volume of email you receive? * Do you get constant email interruptions? * Have you found email to be one of your biggest time wasters at work? We look at 3 strategic steps and 9 specific actions you can take to quickly get a grip on email overload, gain more control, reduce frustration, save an enormous amount of time and radically improve your productivity. This is a punchy 30 minute Getting a Grip on Email webinar recording with Robyn’s guest, Steuart Snooks. Steuart is an Email and Information Overload specialist from Melbourne, Australia. Email can be one of the most effective and quickest ways to communicate, yet it’s easy to fall into email traps which reduce the effectiveness of your message and can even lead to an increased workload. This 1 hour webinar – with Steuart Snooks – will show you how (and when) to; write a powerful email that gets attention engages your reader motivates them to take the action or response you need in a timely manner. Does your team need help with email overload? We have spent twenty one years studying and developing some of the most practical, effective, and easy-to-implement productivity training programs in the marketplace. Your team will feel themselves relax under the guidance of internationally recognised time management and productivity expert, Robyn Pearce. 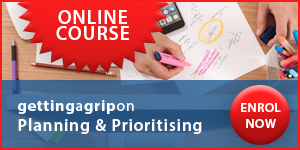 This course provides a ‘how-to’ of practical and easily-applied productivity principles, tips and techniques.